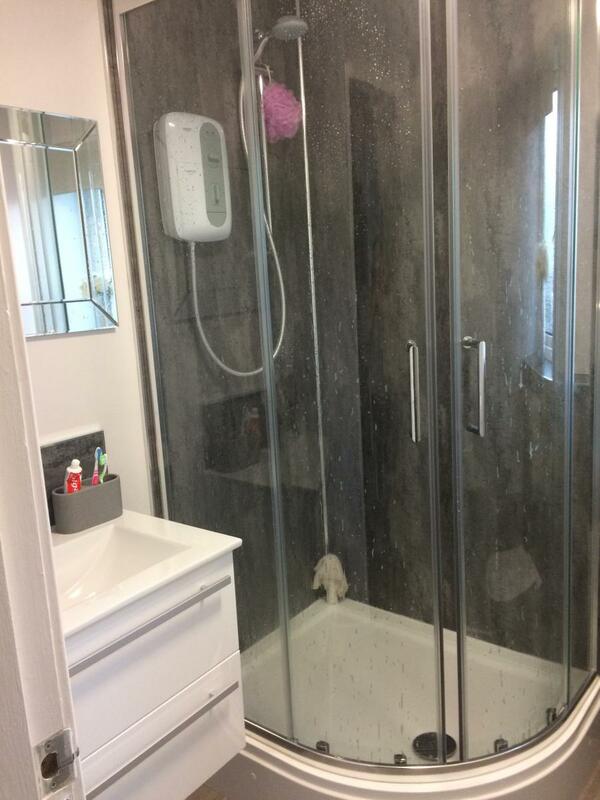 Bathroom fully stripped of it's existing tiles and suite and re-designed to be an open, fresh shower room. Simple mixes of Silver metallic, White Gloss & Black Oak Flooring make this shower room a timeless haven to escape into for that long soak. 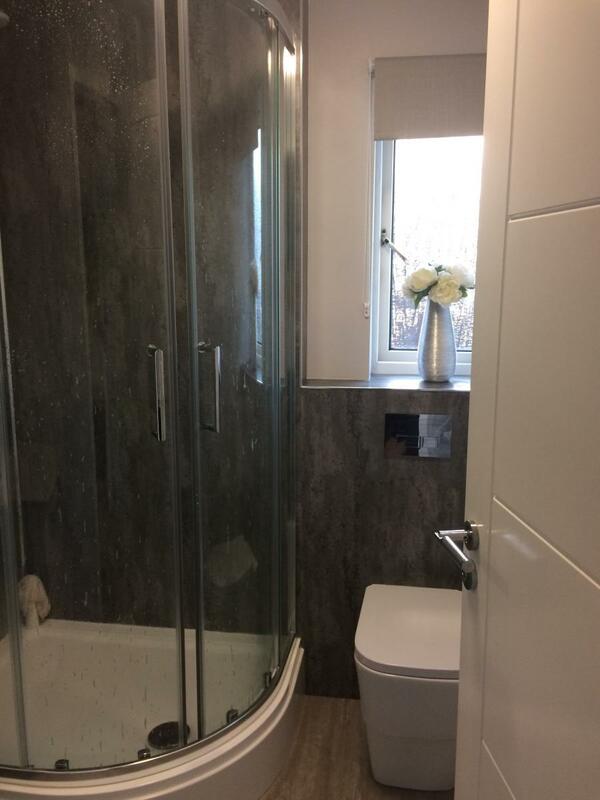 If you wish to find out more about the products used, design created or installation carried out then please do not hesitate to contact us. 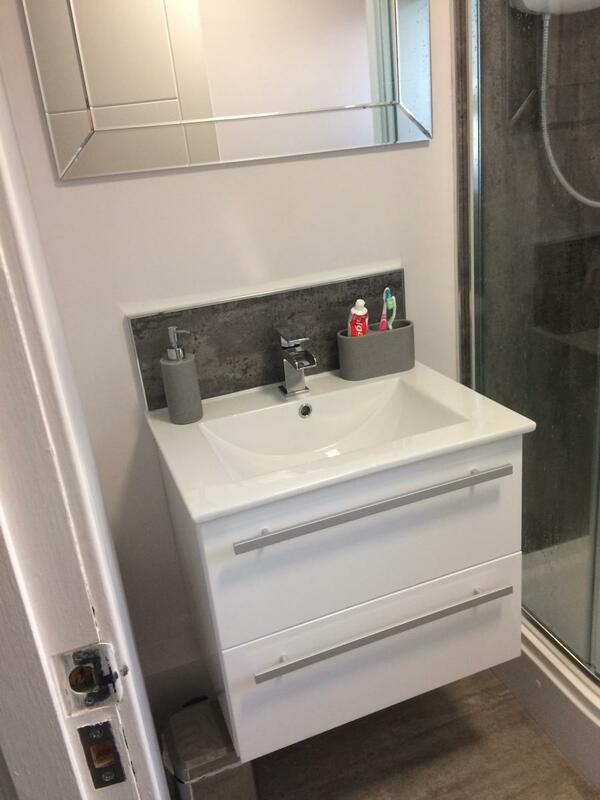 Finally got everything finished with the bathroom now, really pleased with it.